There are 29 stamps matching your search. C.S. Student Robert Slack showing pilot and plane. 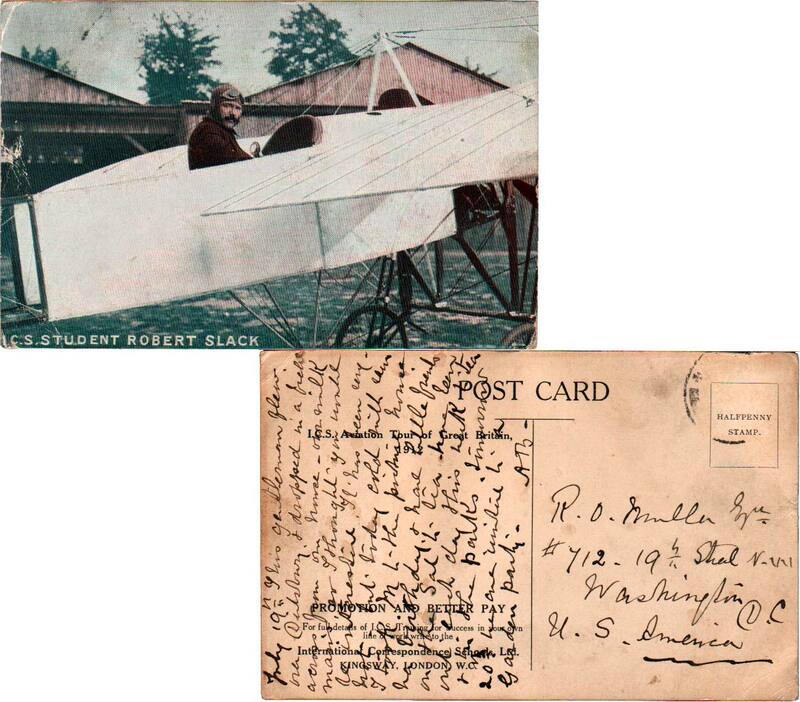 International Correspondence Schools, Ltd. Aviation Tour of Great Britain, 1912. 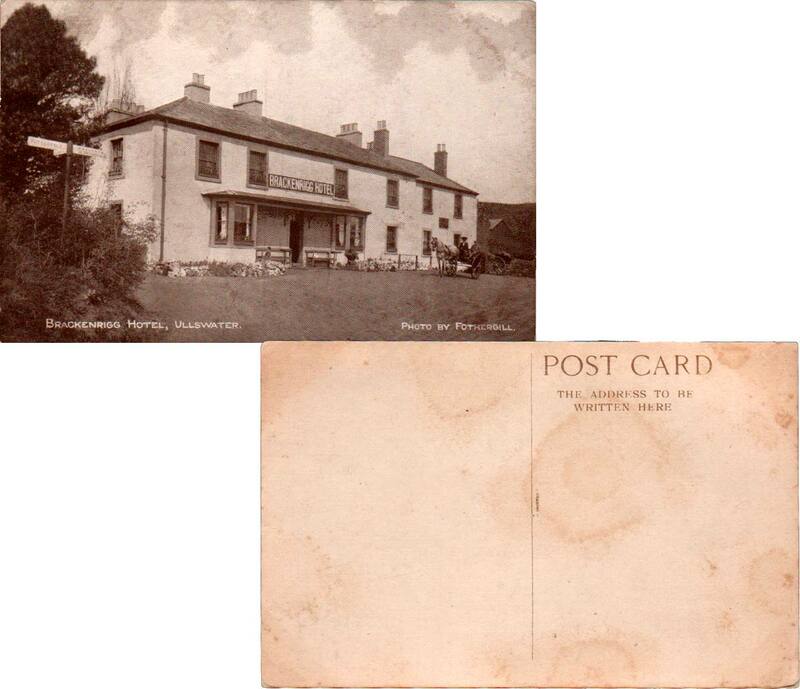 Postally used. Some edge wear and crease at top and bottom left. Tower Bridge, London showing the bridge raised, boat passing beneath. Valentine Co. 43871 JV. c1930. Unused. Crease. The Tower Bridge showing bridge raised, ship passing beneath with spectators and cannons. Tuck Raphaelette Series L124. 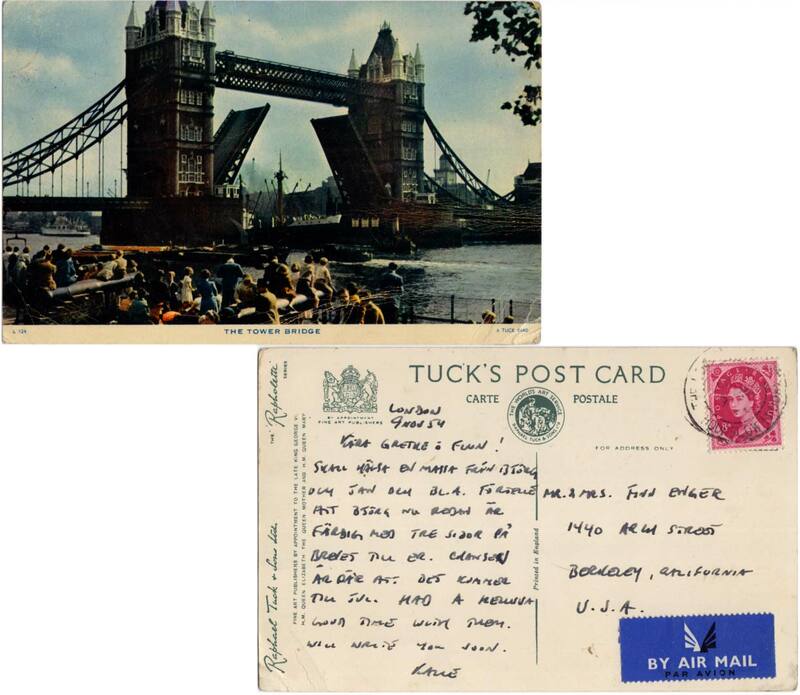 Postally used November 9, 1954. Crease and edge wear. Australian Pavilion, Franco-British Exhibition, London, 1908. Entente Cordial. Valentine & Sons, Ltd. with Official FB Seal. 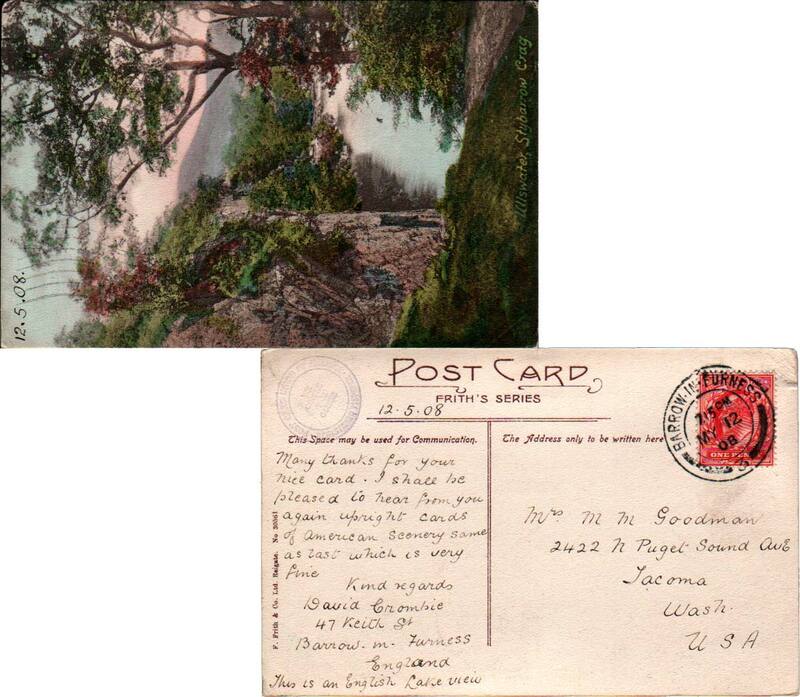 Postally used November 12, 1908. Some edge wear and crease at top right. London. The Tower From The River showing river, boats and cannons. Raphael Tuck & Sons 'View' Series 2000. 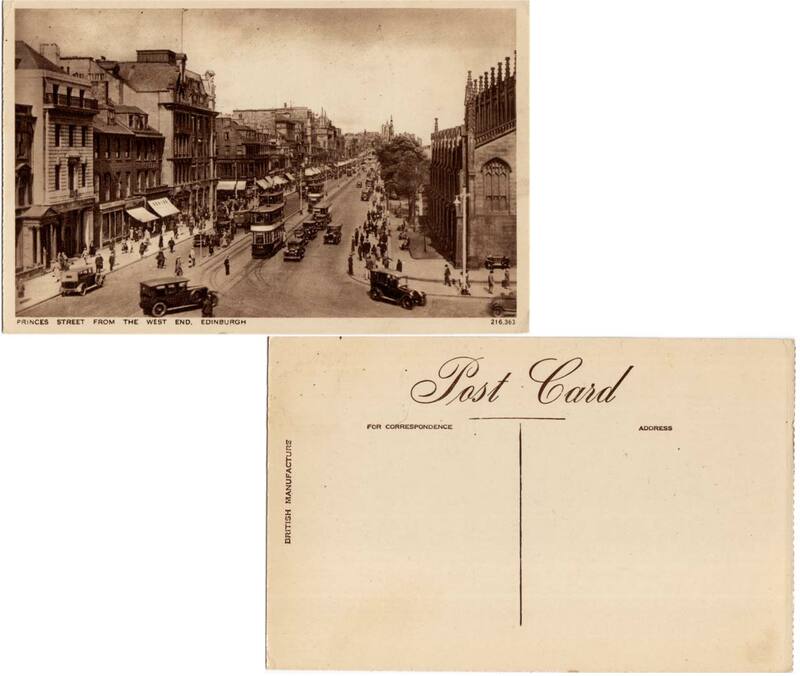 Postally used April 2, 1904. Crease at bottom left. The Oak Room at 'Ye Olde Treaty House,' Uxbridge. 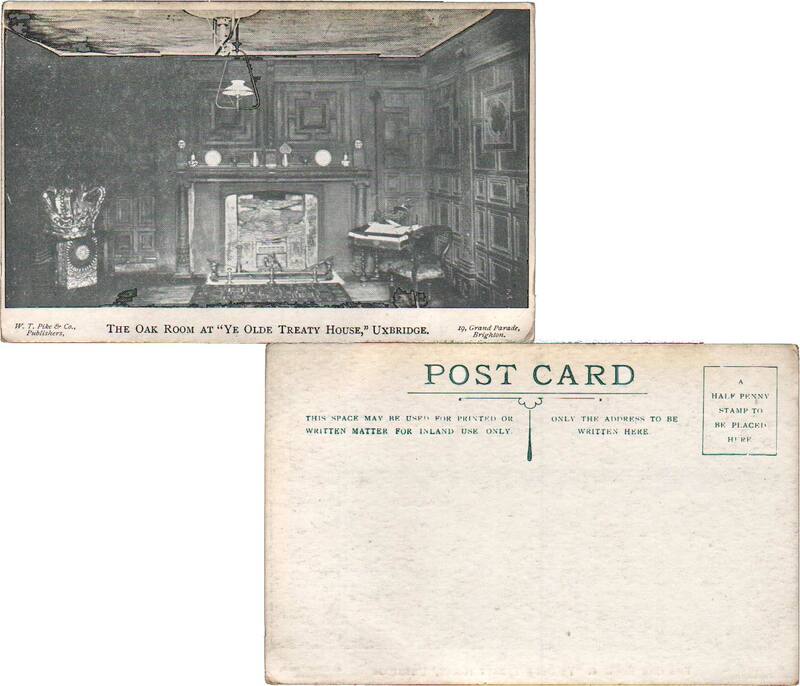 19, Grand Parade, Brighton showing wood paneled room with fireplace, crown and desk. W. T. Pike & Co. Unused. Brackenrigg, Hotel, Ullswater. Hood & Co. Unused. Some edge wear. 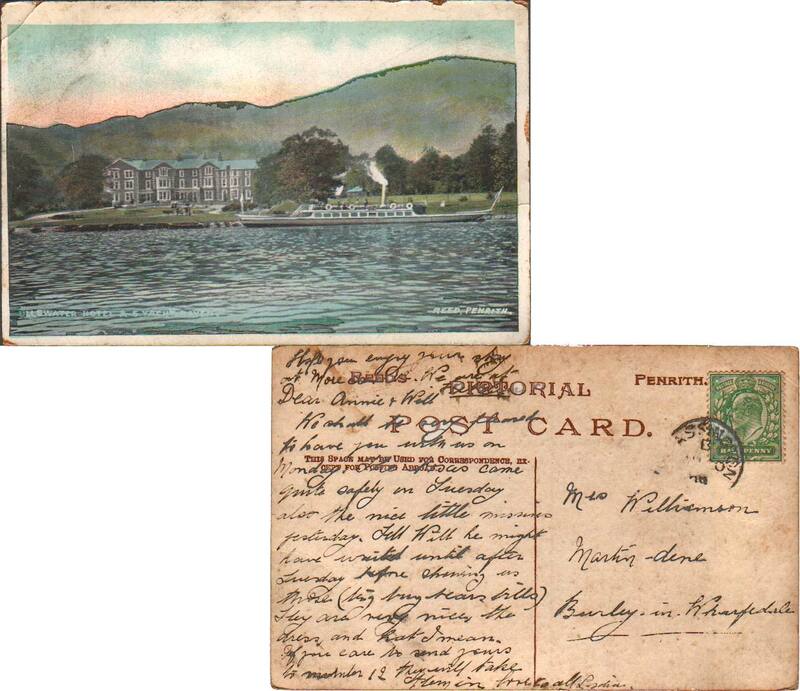 Ullswater Hotel & 5. Yacht Raven Reed, Penrith showing hotel and boat on water. Some edge wear and crease at top left. 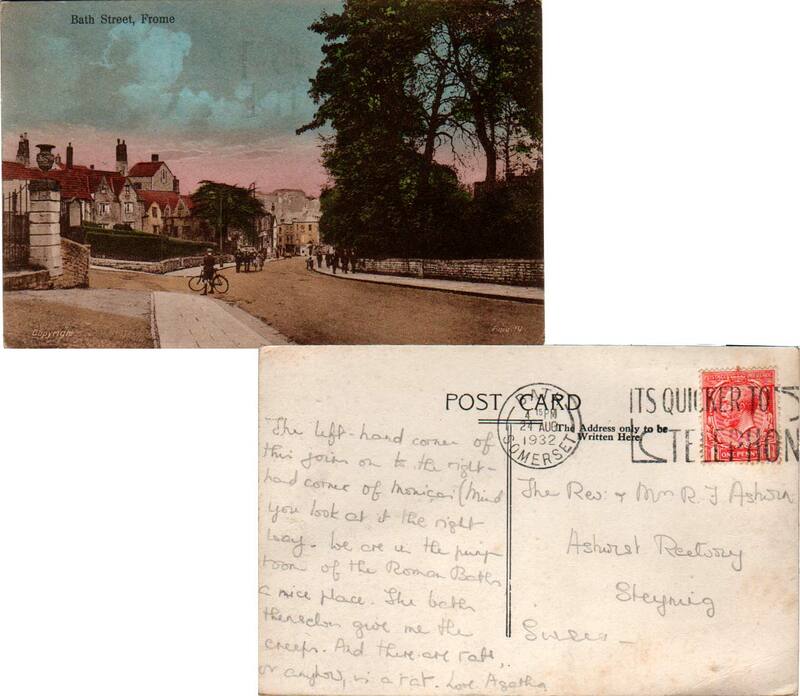 Postally used August 20, 1909. Upleatham Church. The 'Renshaw' Series. Unused. 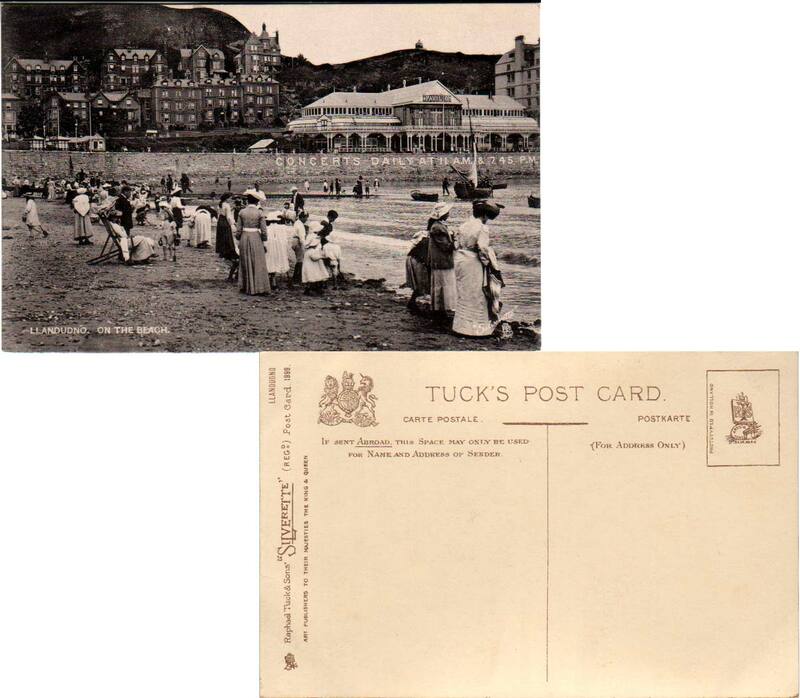 Greetings from Aberystwyth Multi-View showing Esplanade, Rheidol Valley 'The Stag', Castle Grounds & C., The College & Promenade, Rheidol Valley Railway, New Promenade. F. Frith & Co. Postally used December 1, 1911. Some edge wear. 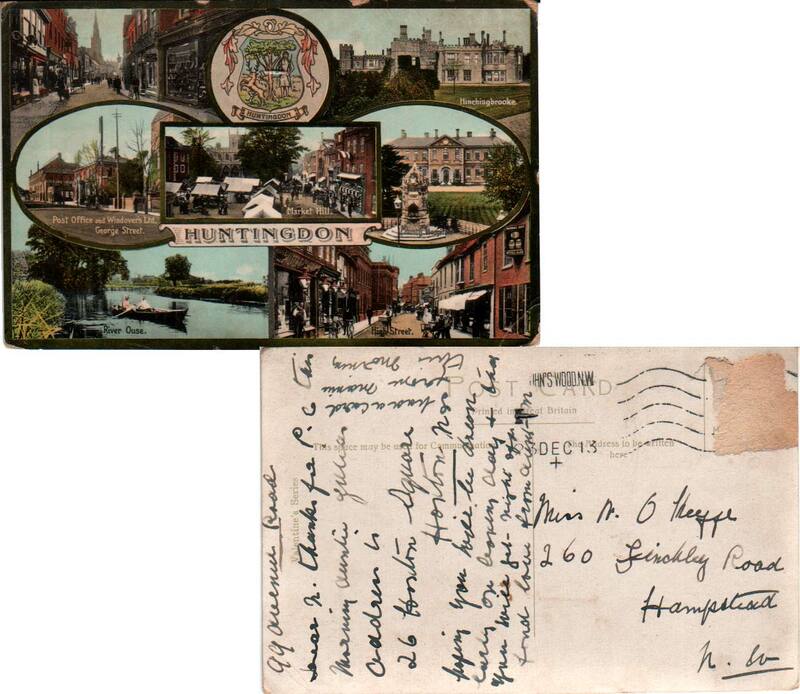 Huntingdon Multi-View showing High Street, Hinchingbrooke, County Hospital, High Street, River Ouse, Post Office and Windover's Ltd, George Street, Market Hill. Valentine's Series. 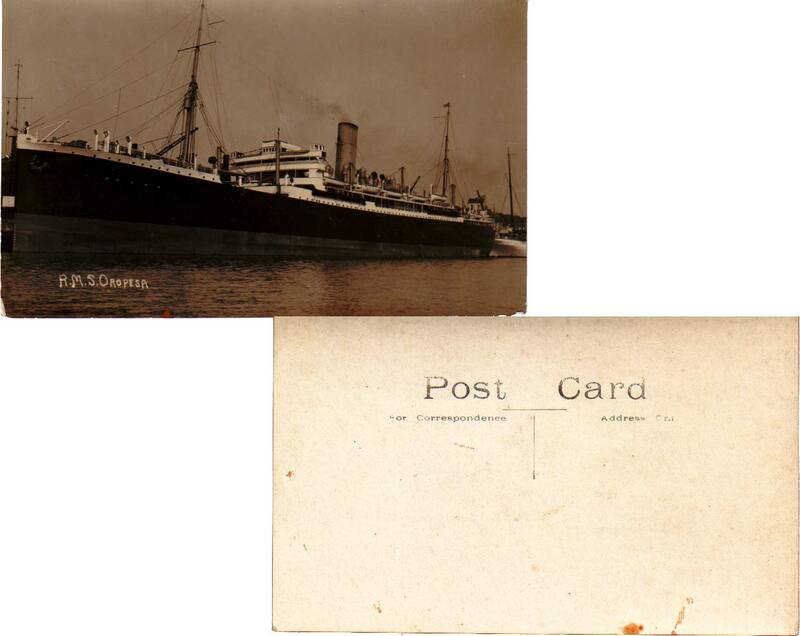 Postally used December 23, 1913. Some edge wear, crease at bottom right, stamp removed. High St. & Harvard House, Startford-On-Avon. 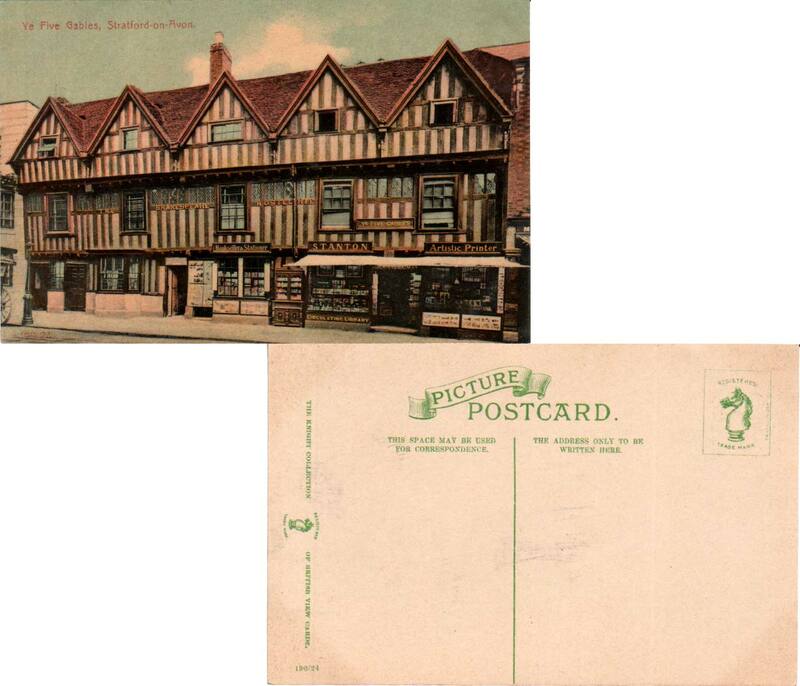 Ye Five Gables, Stratford-on-Avon showing The Shakespeare Hostelrie and shops. 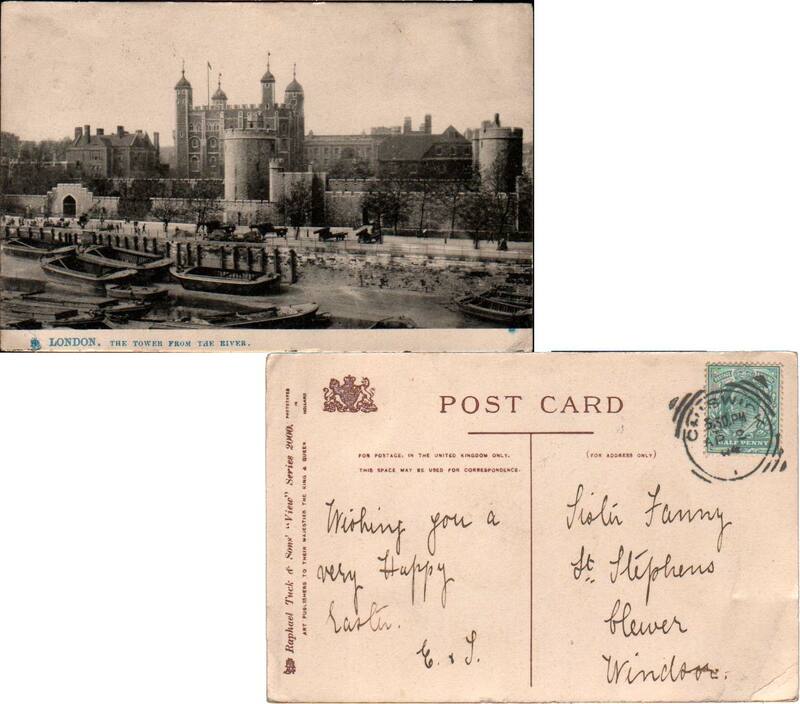 The Knight Collection of British View Cards 190/24. Unused. 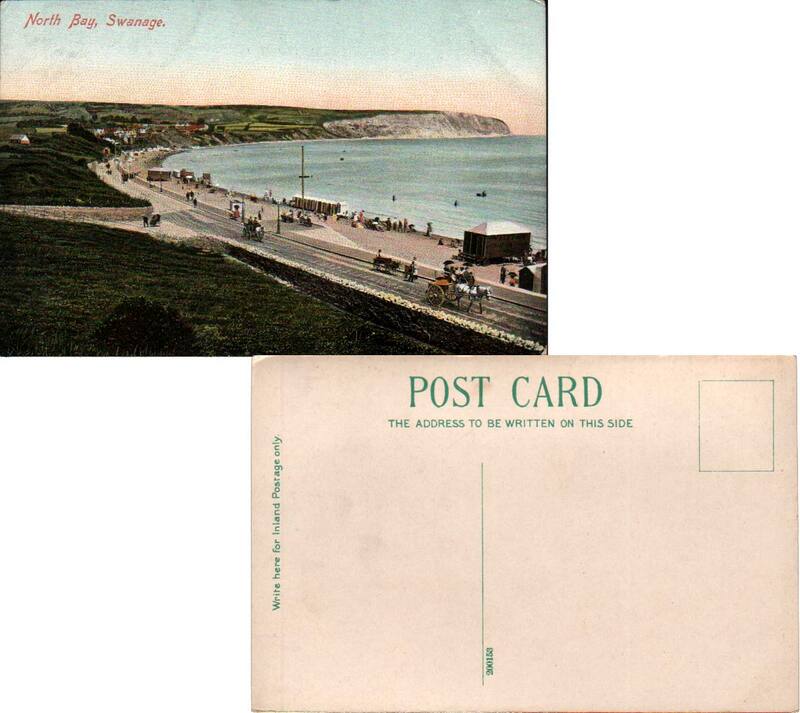 North Bay, Swanage showing beach and horse drawn buggies. 200153. Unused. Bath Road, Old Swindon. Valentine's Series. 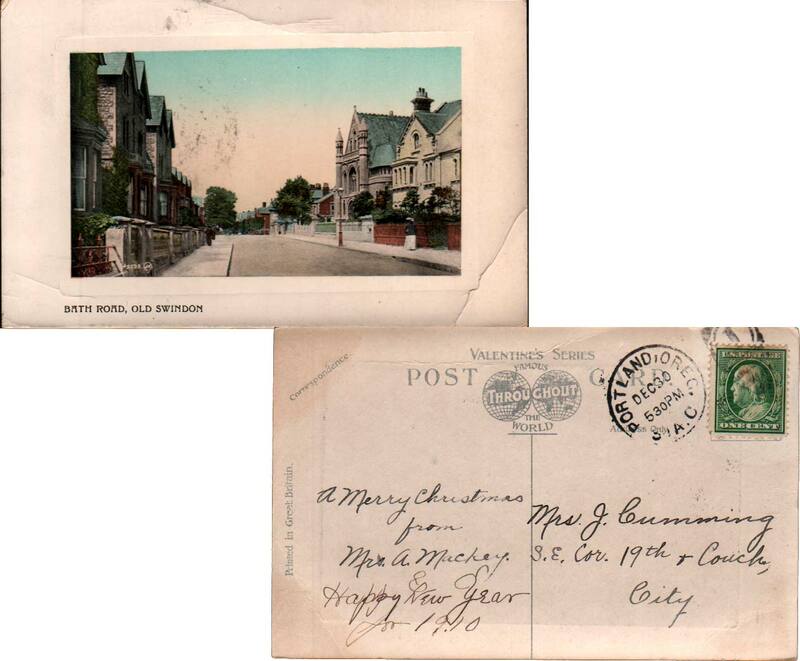 Postally used December 30, 1909. Crease at top and bottom right and some edge wear. Princes Street From The West End, Edinburgh showing intersection at Lothian Road, pedestrians, streetcar, and automobile. British Manufacture 216.363. Circa 1930. Unused. Light crease. 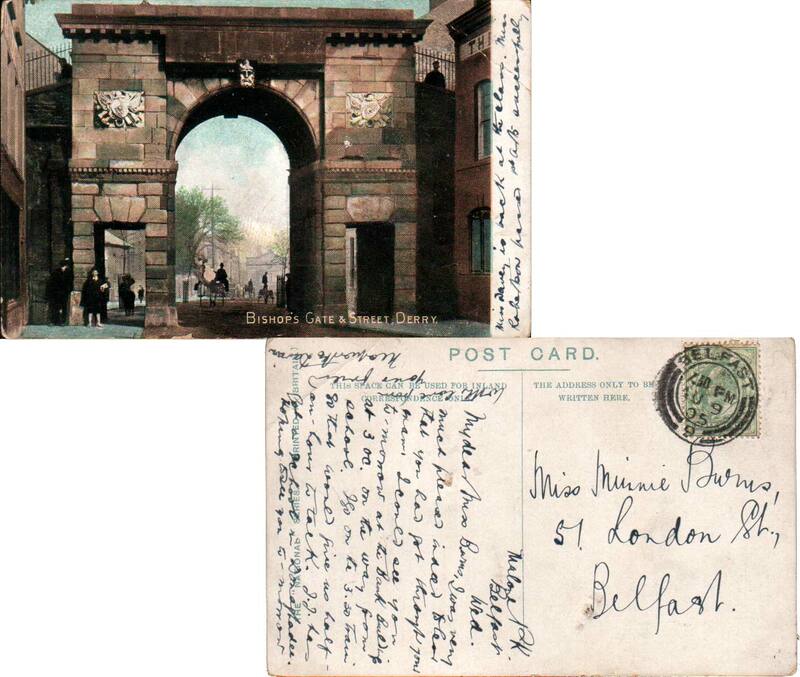 Bishop's Gate & Street, Derry. The 'National' Series. 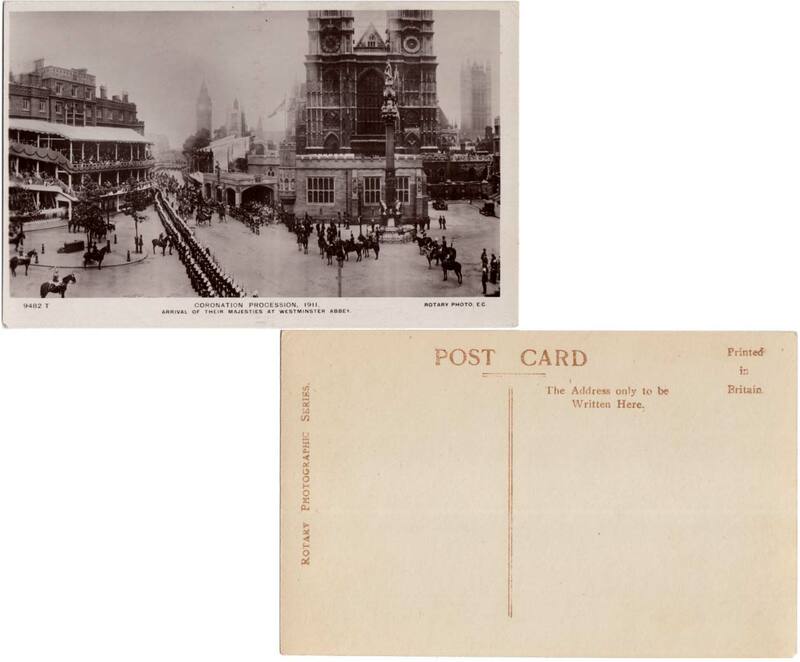 Postally used August 9, 1905. Crease at top left. 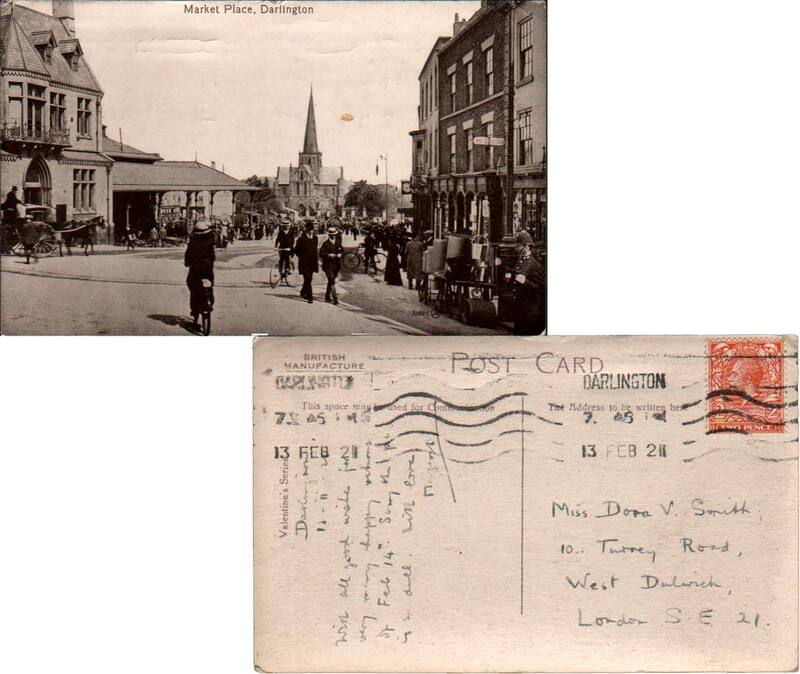 Market Place, Darlington showing street scene with church in the background. Real Photo Valentine's Series 7188S JV. 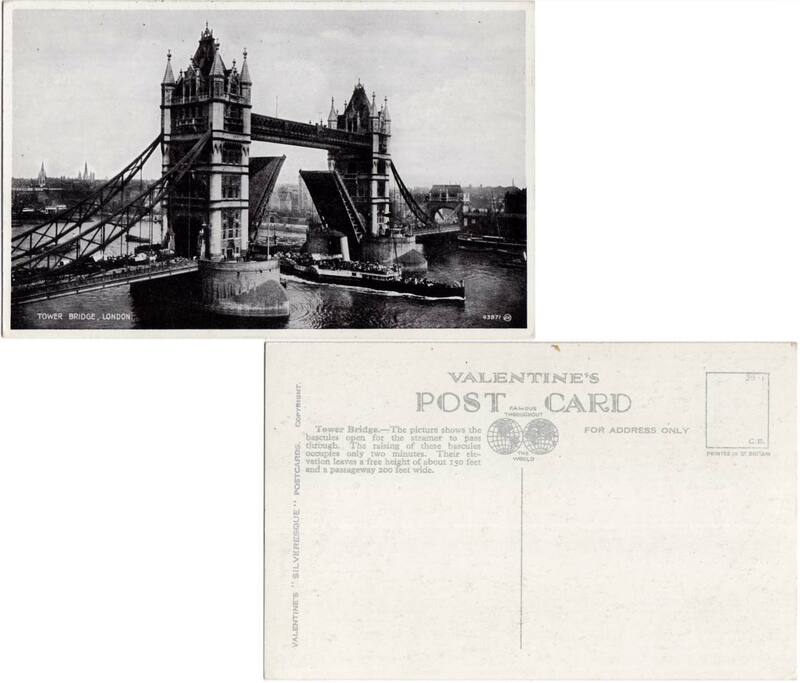 Postally used February 13, 1921. 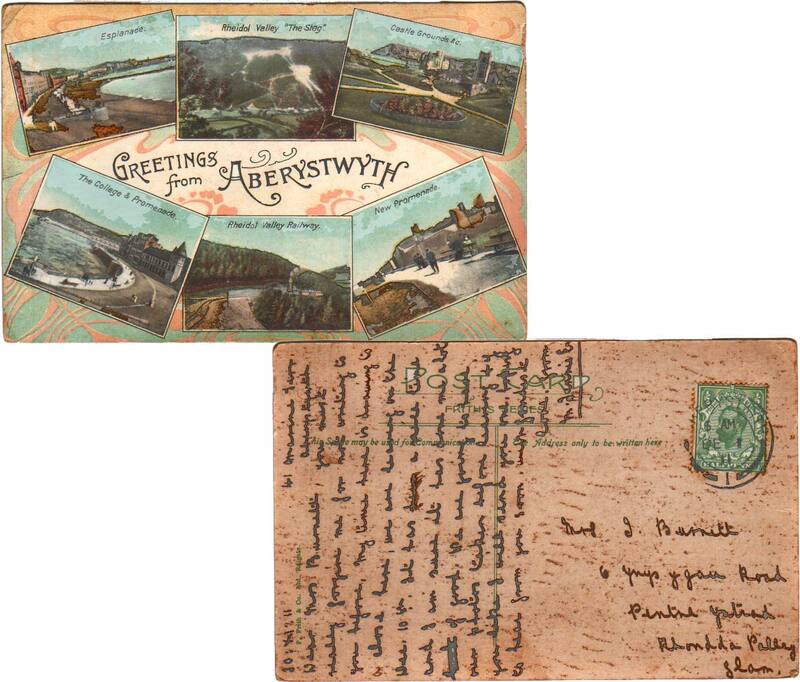 Slight cracking at center top from reverse postmark. Bath Street, Frome. Fme. 10. 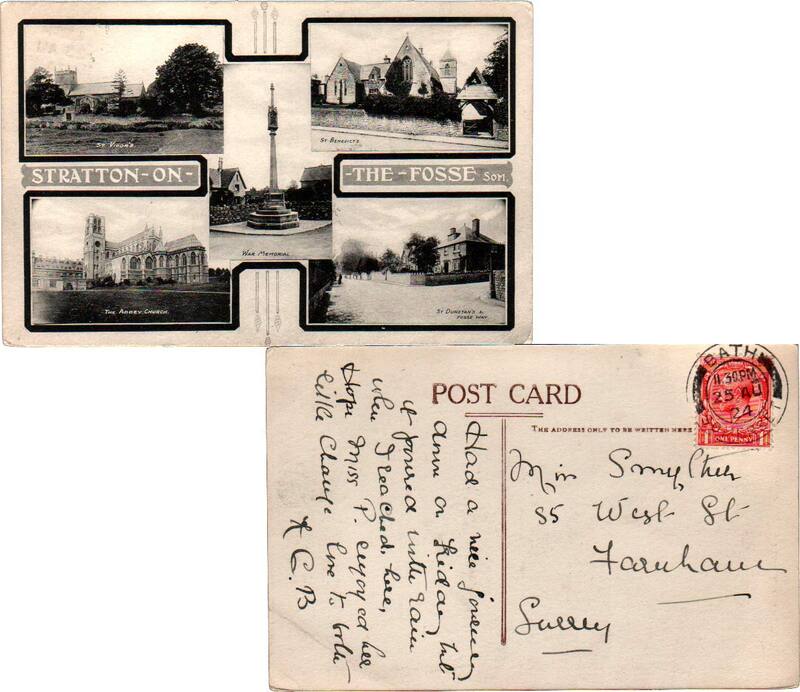 Postally used August 23, 1932. Crease at bottom left. Stratton-On-The-Fosse, Som. Multi-View showing St. 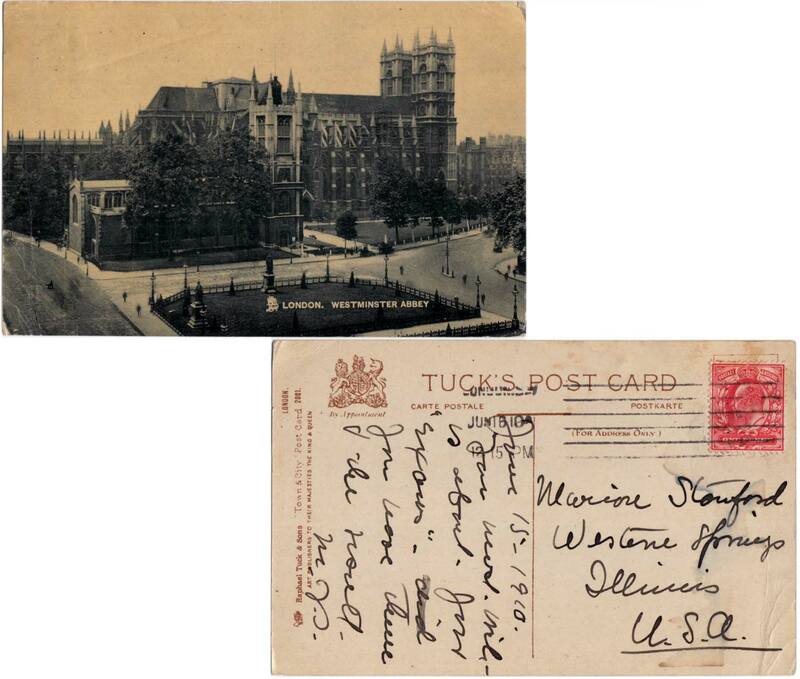 Vigor's, St. Benedict's, St. Dunstan's on Fosse Way, The Abbey Church, War Memorial. 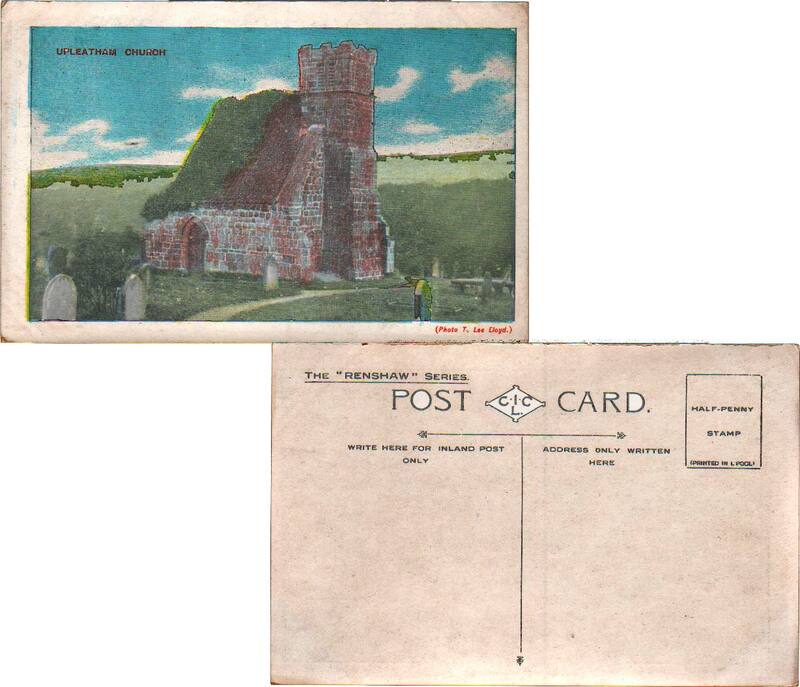 Postally used August 25, 1924. Victoria Road, Mount Charles, St. Austell showing street scene with homes and horse-drawn carts. Stengel & Co., Ltd. E34498. Unused. Llandudno, On The Beach. Concerts Daily at 11 A.M. & 7:45 P.M. Rafael Tuck & Sons' 'Silverette' 1999. Unused. Ullswater, Stybarrow Crag. F. Frith & Co. Ltd. 30561. 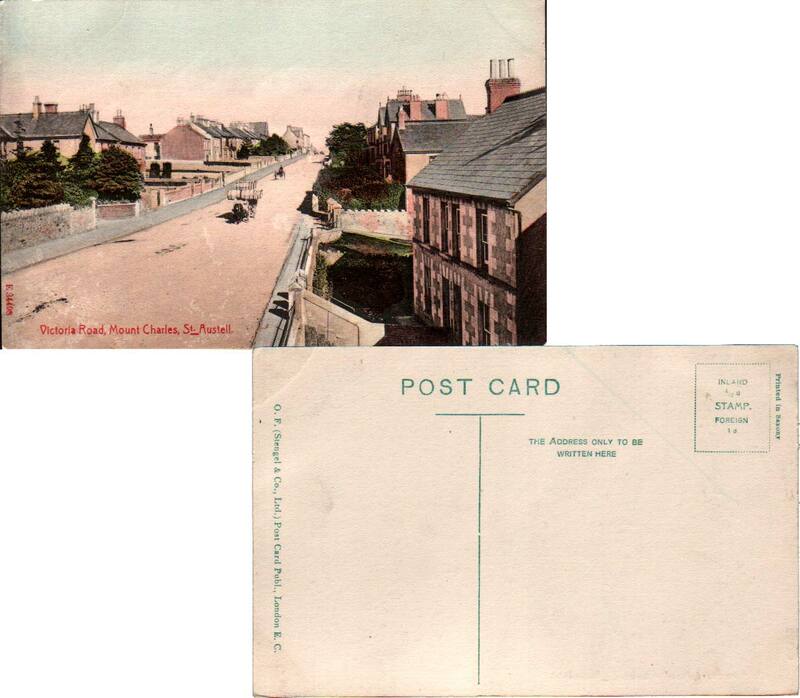 Postally used May 12, 1908. View side writing and cancellation marks and some edge wear. 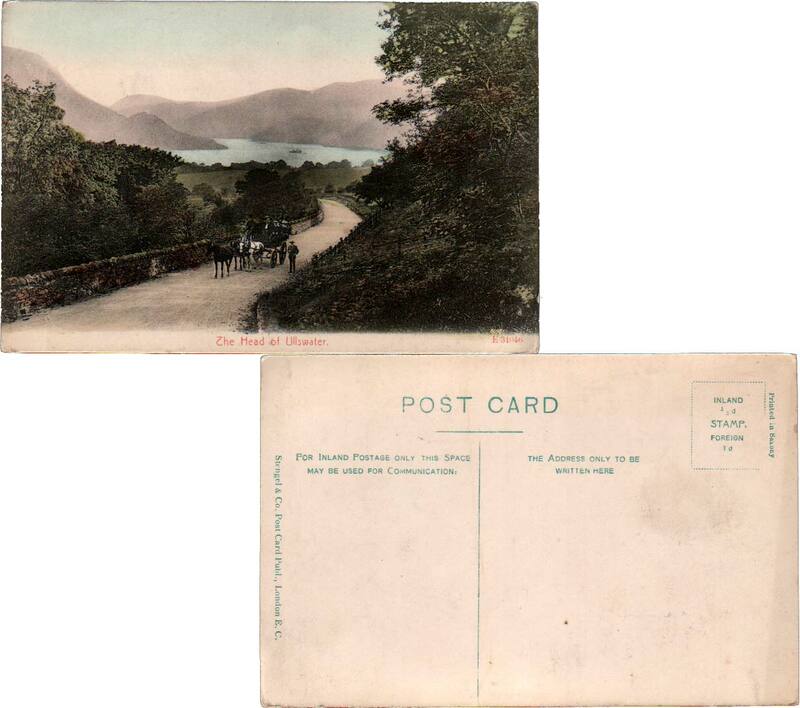 The Head of Ullswater showing horse and carriage with vista of lake. Stengel & Co. E 31046. Unused. 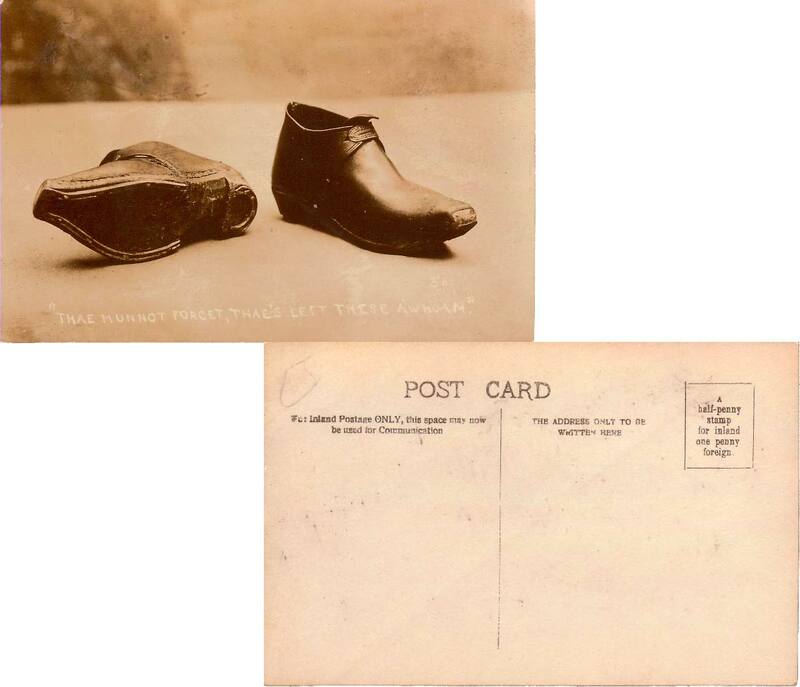 'Thae munnot forget, thae's left these a'whoam' Real Photo showing a pair of shoes. Choir to East, Winchester Cathedral showing view inside cathedral. Real Photo. Tuck WHR 152. Circa 1935. London. Westminster Abbey showing view across Parliament Square, St. Margarets Church and The Jewel Tower. 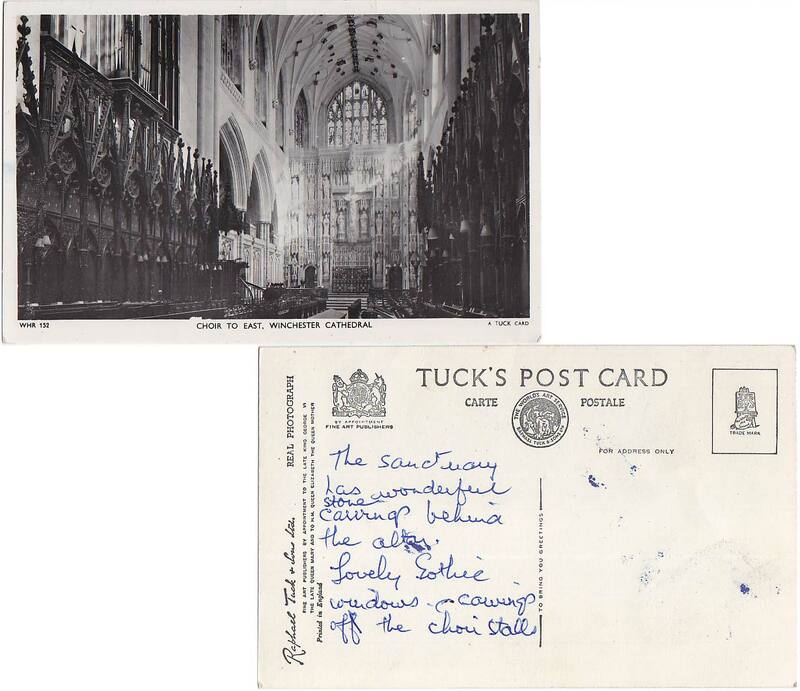 Tuck Town & City Post Card 2001. 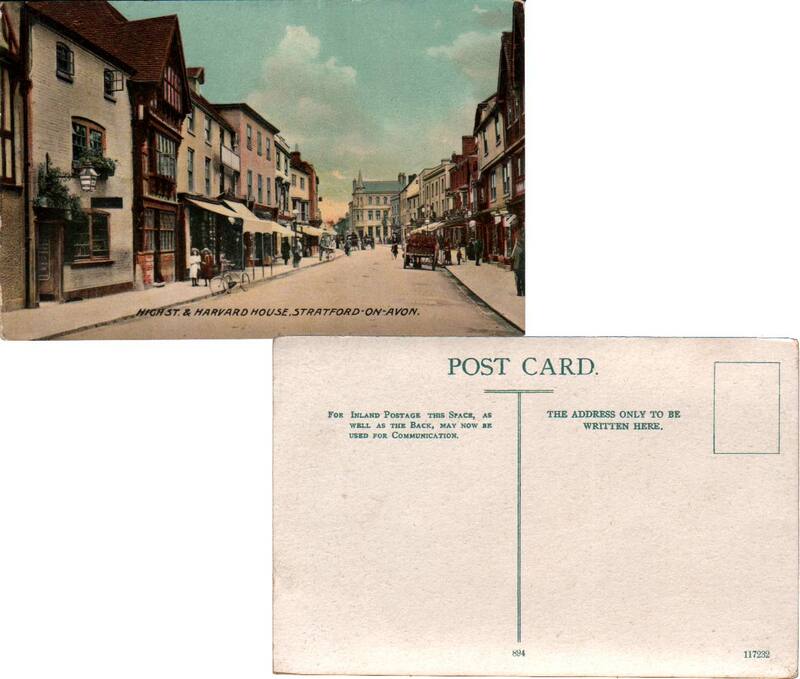 Postally Used June 16, 1910. Light crease at left and some edge wear. Coronation Procession, 1911 Arrival Of Their Majesties At Westminster Abbey showing Houses of Parliament, Big Ben, St. Margarets Church and Westminster Abbey, horses, soldiers, spectators. Real Photo. Rotary Photographic Co. 9482T. 1911. Unused. Some edge wear. Real Photo R.M.S. Oropesa. Pacific Steam Navigation Line. Unused.